Reserve a bounce house today with a $50.00 non-refundable deposit. Delivery is between 8 am-10 am and pick-up is between 6 pm-9 pm daily. Delivery is included in the rental price for the Round Rock area within 5 miles of zip code 78681. An additional $25.00 charge will apply for delivery outside of our delivery area within the Austin metro area. Please remember we are making two trips with each delivery. Please contact us if you have any questions. Question: How much notice do I need to give to rent your inflatables? Answer: We currently have a limited supply of units available for rent and they are rented on a first come first serve basis. Reserve your choice of inflatable for your preferred day using our online reservation system or call us directly. Question: How long is the rental period? Answer: Our rentals are for 8 hours, from 10am - 6 pm for the day you have reserved. If you it earlier or later, please call us for availability and pricing. Please remember that the unit will need to be supervised by the adult responsible at all times. Question: What do I pay today if I book on-line?? Answer: Book on-line today and only pay the $50.00 non-refundable deposit now. The remaining balance and the cost of any add-on rentals would be due at the time of drop off and can be paid by cash or major credit card only. We will not accept checks at the time of delivery and set up. Question: How do I purchases add-on rentals? Answer: You can contact us now at 512-963-8691 or if you book a reservation for a bounce house on-line you will be contacted by a party planner to confirm any additional add-ons, such as the Inflatable Ball Pit, Piñata and more. The remaining balance and the cost of any add-on rentals would be due at the time of drop off and can be paid by cash or major credit card only. We will not accept checks at the time of delivery and set up. Question: Is there a deposit required? Answer: Yes, there is a $50.00 non-refundable deposit required to reserve the inflatables. This can be paid online through our reservation page or a check or money order can be mailed, please call first and check on availability if you are not using our online reservation. Once you have called and confirmed availability, we will hold the unit for 72 hours dependent on your payment of a $50.00 deposit. The remaining balance and the cost of any add-on rentals would be due at the time of drop off and can be paid by cash or major credit card only. We will not accept checks at the time of delivery and set up. Answer: In the event of inclement weather, we will issue you a voucher for the amount of the reservation that will be good for 1 year to put towards any available rental unit. Please call us if you have any questions in regards to weather. Question: Is Delivery included in the price? Answer: Delivery is included in the rental price for the Round Rock area within 5 miles of zip code 78681. An additional $25.00 charges will apply for delivery outside of our delivery area within the Austin metro area. Please remember we are making two trips with each delivery. Please contact us if you have any questions. Question: How big of an area do you need for set up? Answer: We will need at least an 18’ x 18’ area for the Modular and a 20’ x 22’ area for the Castle Slide. This will allow an area for children to play and be safe and proper set up and stake down of the inflatable. Question: Where can you set up the inflatable? Answer: We are insured and licensed to set up in public parks, schools, and more. Remember that there may be further permits required and we are not responsible for obtaining. Question: What type of surface is required for set up? Answer: We can set up on grass, (which is our favorite and best), dirt, asphalt, and concrete. Sorry, we can´t set up on any type of rocks as the constant rubbing will wear through the vinyl jumps. Question: Do I need an electrical outlet? Answer: Yes, all of our blowers run on a standard 110w outlet. We will provide a 25’ foot extension cord that is heavy duty. Please make sure that the unit is within 25’ feet of an electrical outlet. We do not provide a generator, but one can be rented from a local home improvement store. Power must not be interrupted to the blowers during use of the inflatables. Question: What time do you set up and remove the unit? Answer: We will set up the unit between 8am-10am on the start date of your event. To pick up the unit, we will arrive between 6pm-8pm to clean and break down the unit at the end of your rental time period. Question: How long do the inflatable take take to set up and break down? Answer: The set up of these units takes about 15-20 minutes and it inflates in 3 minutes. We will secure the inflatable to the ground using sandbags or metal stakes. Cleaning and break down take up to 30 minutes. Question: What type of safety standards do you have? Answer: All units are thoroughly inspected on a daily basis by our trained ride operators. All units are inspected and licensed yearly to conform to the Texas State Requirements. Our units are made safe and secure within regulations for commercial requirements. Question: Do I need to sign a safety waiver? Answer: Yes, our rental units are covered by a limited liability insurance policy and an insurance waiver must be signed by an adult that is 18 yrs or older, prior to each rental use. All safety measures are to be taken during rental periods and adult supervision is required at all times. ?To get more information today, please call us at 512-963-8691, or contact us. Question: Do I need a trained ride operator to work my party? Answer: We can train you during set up, or you can pay to have one of our trained ride operators to work your party. Just remember that an adult who has been trained and accepted responsibility must supervise the inflatable at all times. If your event is located in a public place, i.e., a park or school, state law requires that you have a trained ride operator working the inflatable. Question: Are the inflatables clean and safe? Answer: Yes, all of our inflatables are thoroughly cleaned and sanitized after each party. 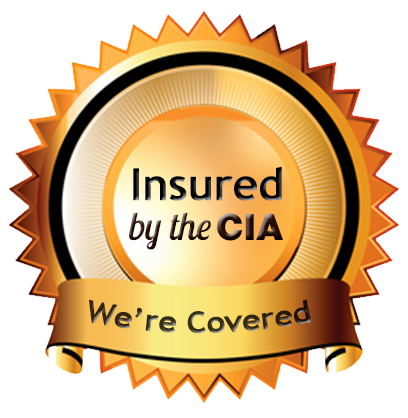 They are also inspected for safety and mechanical issues daily as required by Texas State Law. Question: Are we responsible for the unit if it gets a tear or damaged in any way? Answer: You are not responsible for normal wear and tear on our units. Seams may develop tears in high traffic areas over a period of time. If this happens please alert us at once so we can remedy the situation. If however, damage occurs due to failure to follow our safety rules or negligence (i.e. not turning off the blower in high winds) you will be responsible for all damages up to and including replacement of the unit/blower. We don´t want you or us to be in that situation which is why we have you sign and initial on all of our safety rules so that you can be the trained operator. To get more information today, please call us at 512-963-8691, or contact us with your questions!